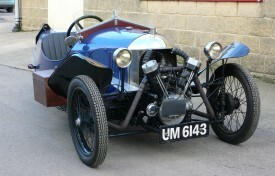 Morgan 3-wheelers were manufactured in various forms from the company’s inception in 1910 right through until 1952. The design incorporated a simple tubular chassis, with patented independent sliding pillar front suspension, and with the rear driving wheel pivoted off the gearbox and suspended on two quarter elliptic leaf springs. The motor cycle type engine and clutch was bolted to the front of the chassis, and was connected by a drive shaft to the gearbox in front of the rear wheel. Early models had a simple two speed transmission comprising two sets of chains and gear wheels driving the rear wheel, which were engaged by simple dog clutches. There was no reverse gear. With their lightweight construction and relatively powerful motorcycle engines, performance was usually brisk indeed, and led to many successes in trials, hill climbs and circuit races. 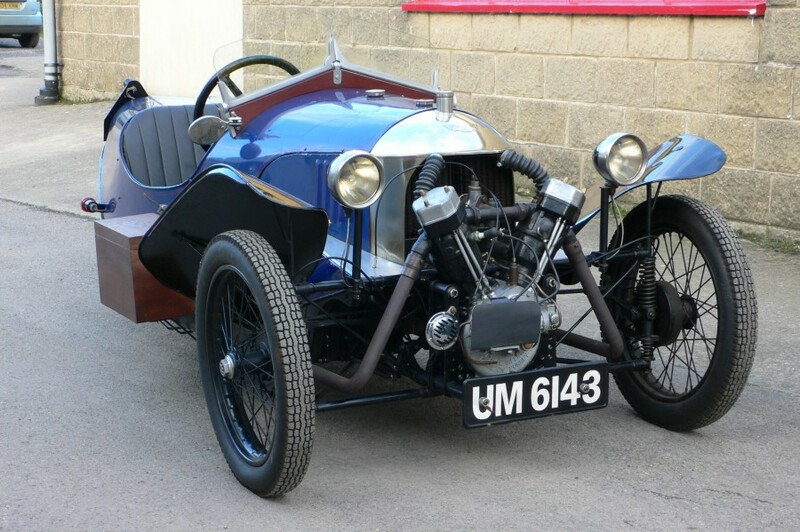 The Morgan Aero model was produced between 1920 and 1933, and was available with a variety of twin cylinder motorcycle engines. The example here today was manufactured in 1926, and is fitted with a British Anzani engine of 1,093 cc. The overall condition of the vehicle is believed to be very good, with the engine and magneto having recently been overhauled. For ease of use, this particular example has been fitted with a self starter. Also, the hand controls for the engine, which are usually found attached to the spokes of the steering wheel, have been relocated to the steering column, and a separate foot control for the throttle has been added. This machine makes all the right noises when started up, and will undoubtedly provide the purchaser with a most exhilarating ride! 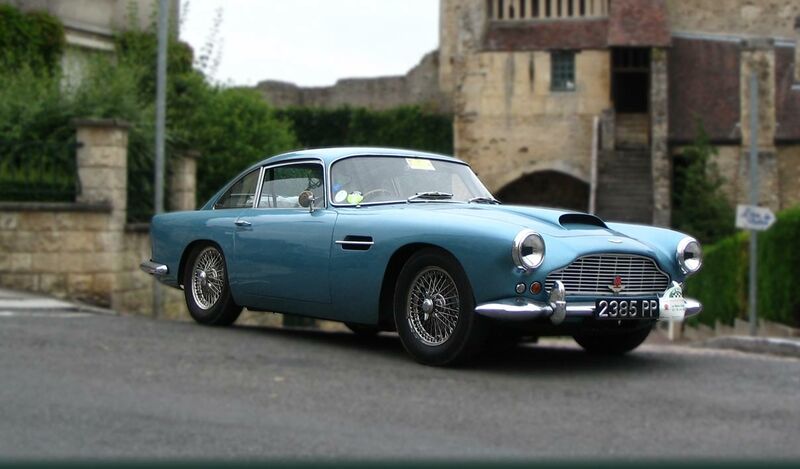 These vehicles are well catered for by a number of clubs, including the Vintage Motor Cycle Club and Vintage Sports Car Club, and indeed it can be driven on a motor cycle licence. This vehicle comes with a V5C registration certificate, some previous MOT test certificates, a set of starting instructions and some service data.